SCARCE now offers a new collection for hard-to-recycle items. 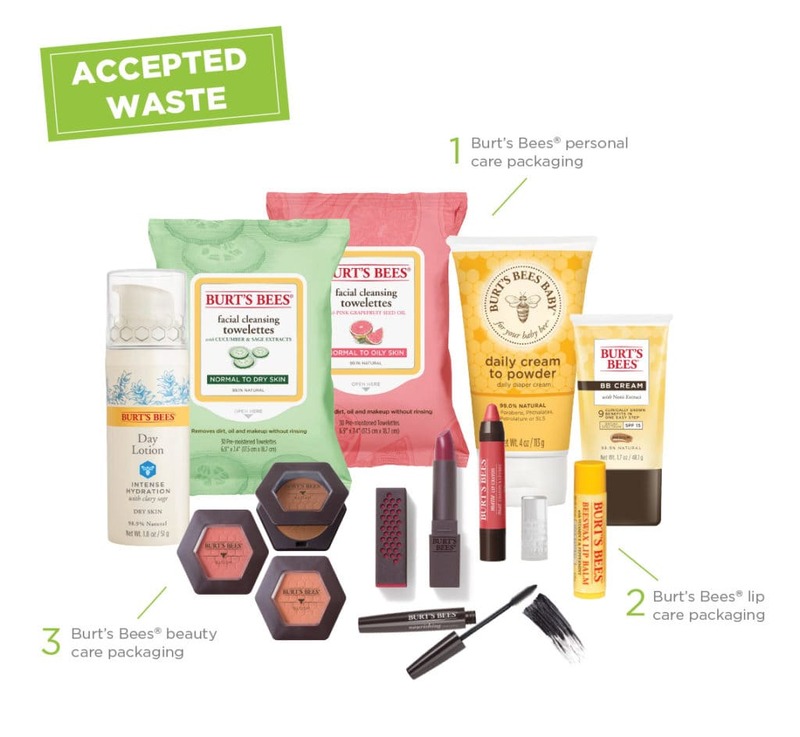 As part of a new Terracycle brigade, we now accept EMPTY Burt’s Bees branded personal care, lip care, and beauty care packaging. See a full list of accepted items below. Check out examples of acceptable waste in the image above. Other brands or packaging are NOT accepted. Please note, all items should be empty and dry before bringing to SCARCE. Items need not be washed, a simple shake out, swipe with a cloth or squeeze to remove excess product should do the trick. SCARCE is a member of a handful of other brigades through Terracycle. These collection items are listed on our Eco-Cheat Sheet and our On-Going Reuse & Recycle page.